Following concerns over dampness and problems with some timbers within an office Kenwood’s were called in to investigate. 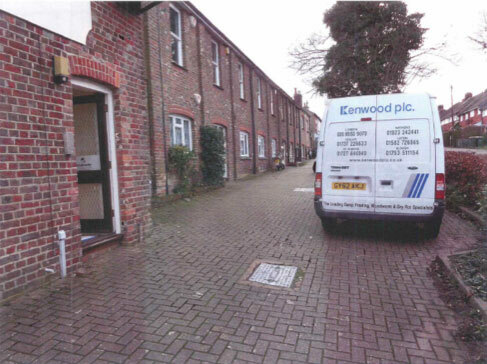 Our surveyor attended this commercial space, located in the beautiful village of Wheathampstead, and did indeed find rising damp affecting various walls and a woodworm infestation within the roof space. Treatment for these problems required a new chemical damp proof course injection to various walls within the property including the use of Kenwood’s specially formulated rendering system. The woodworm treatment required the use of a preservative spray on all affected timbers to prevent the infestation decaying the timbers further.